Currently, the department provides training in the direction of 530,500 Jurisprudence (bachelor). Currently, the department includes faculty in the amount of 5 people. Of these, candidates of science, associate professors – 1, teachers – 2, part-time workers – 2 (of them associate professors – 1, teachers – 1). 1. Candidate of legal sciences, associate professor – Arziev N.I. 2. Lecturer – Narmatov N.K. 1. Associate Professor – Shamshiev R.K.
2. The teacher – Isakov A. At the department the laboratory “Criminal laboratory” functions. Here students get acquainted with educational and visual aids, receive information. The head of the office is a teacher Susunbayev Talaybek, who has sufficient experience in the industry. Teachers and graduate students of the department have close ties with universities, such as Osh State University, Kyrgyz State Law Academy, Osh State Law Institute, Academy of Business and Law, etc. Our staff share experiences, together conduct research work with staff of the above universities. Teachers of our department actively participate in scientific conferences in Osh State University, Osh State Law Institute, Academy of Business and Law, BatSU. Employees of the department write and publish scientific articles, textbooks, teaching aids. The department actively conducts meetings, round tables, disputes with law enforcement officers. Employees of the department for their active and fruitful work were awarded various awards : Honorary diplomas of the University, faculty, trade union committee of the university, region and industry. A feature of the department of “Criminal law disciplines” is, firstly, it is an inter-faculty service department, secondly, graduating students of the specialty “Jurisprudence”, thirdly, a department that actively participates in mass cultural, scientific, practical, public events of ZhASU and Jalal-Abad region. 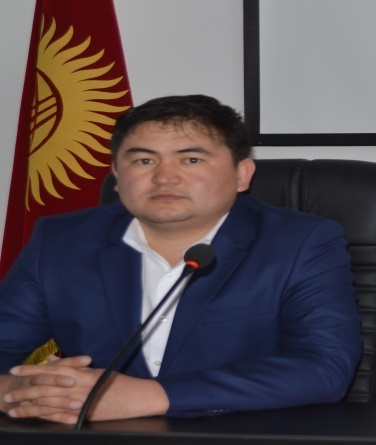 The department has concluded bilateral agreements with law enforcement bodies of the city of Jalal-Abad and Jalal-Abad region, where students of the specialty “Jurisprudence” conduct practical classes, meetings, and educational, industrial, and pre-diploma practices. The department uses didactic materials, posters, stands, photo albums and electronic materials.